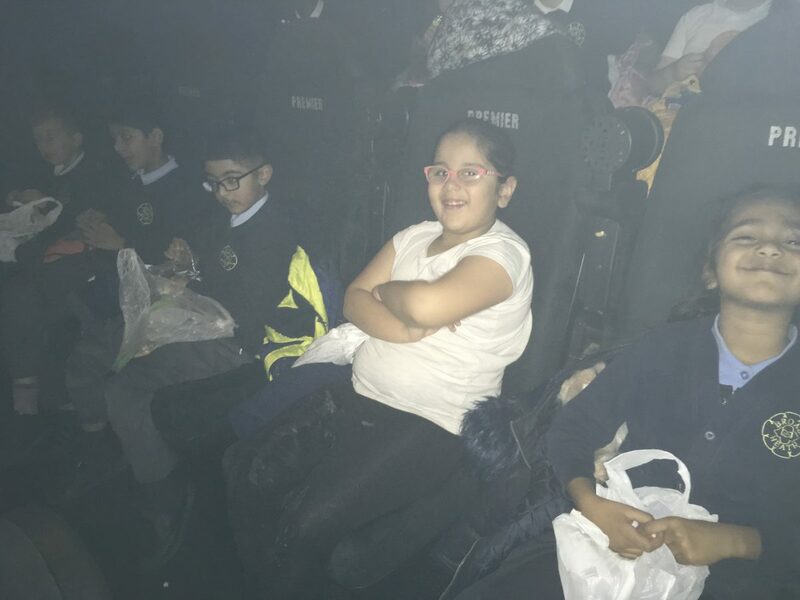 ← Year 6 trip to Sidney Stringer to meet author A F Harrold. 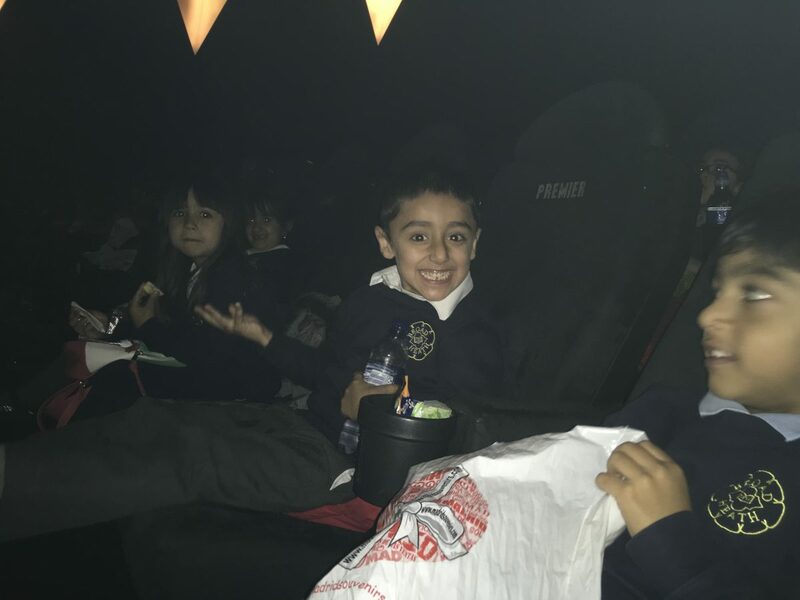 Class 2 White Blog 18-19Leaping into Learning! 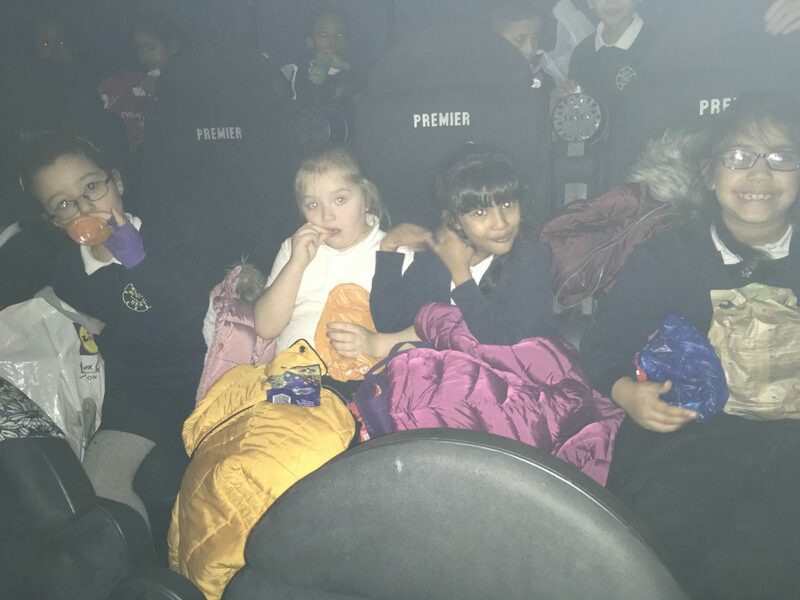 Today we visited the Odeon cinema to watch a film called ‘The Big Bad Fox and other tales’. This was part of the Into Film festival. What a great treat! We travelled on the coach to Nuneaton. It didn’t take us long! Then we got settled in our comfy seats with our snacks. 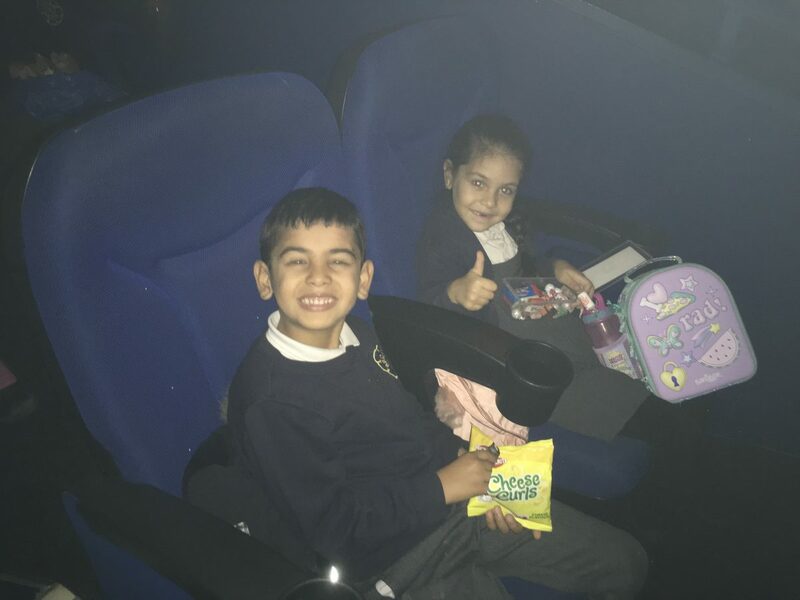 All children behaved beautifully and enjoyed the funny film. Who were the main characters in the story? Who was your favourite character and why? Where was the story set? What was the problem? How was it solved? 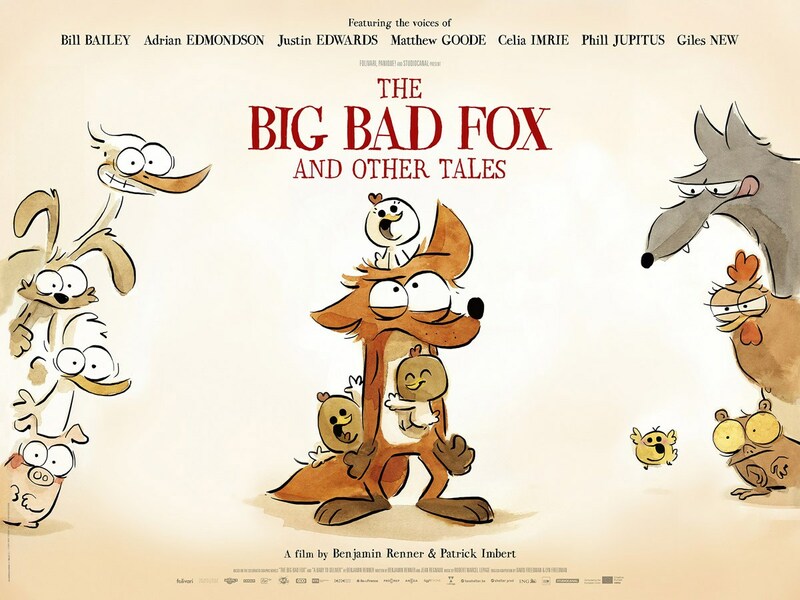 The next tale ‘The Big Bad Fox’ was hilarious! There were lots of giggles all around the cinema. Explain why it was so funny. What happened? How did the fox‘s feelings change and why? Do you think this was a traditional tale? Explain why. This entry was posted in Class 2 White Blog 18-19. Bookmark the permalink. 1. The characters were the fox the hen the wolf the pig and the baby. 2. My favourite character was the little chickens because they were so cute. 3. In the warm farm with some delicious food. 4. A bird flew into the pigs tree then he fell down on the ground and said your big tree just hurt me so can you deliver this baby 63 so they did and that’s the end . 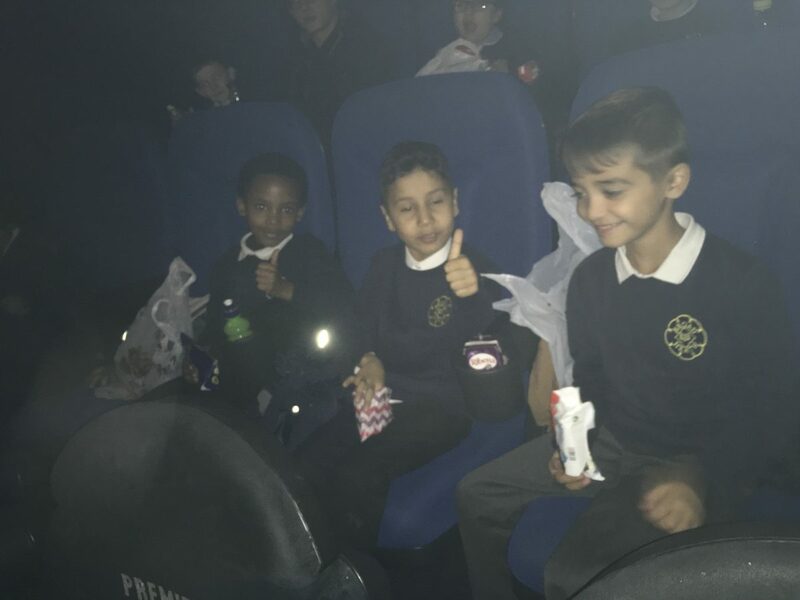 Well done to everyone who has thanked Mrs Frankish for our trip to the cinema. 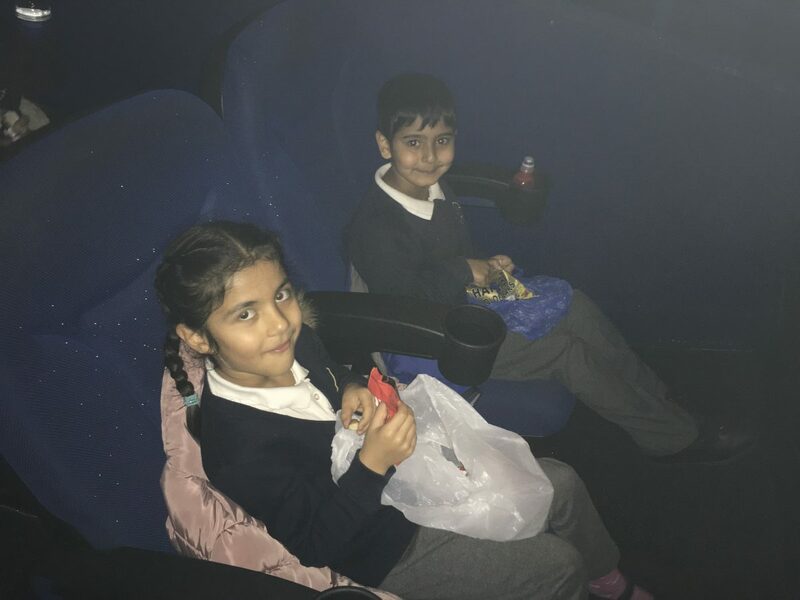 The children had such a good time and showed really good behaviour. So many have answered all the questions set by Miss Smith too. This is great to hear! Thank you teachers for supporting our wonderful children. 1.The main character was the little baby . 2.My favourite character was the little chicks because they were cute . 3.In the beautiful,big,farm filled with food . 4.A bird flew into the pig’s tree then he fell down on the ground and said ” Your big tree just hurt me (Loud voice) so can you deliver this baby to 63 (quite voice)”So they did. Safiyah your comment made me smile because I had forgotten about this quote from the stork! Exhausted is a great word. Why did the characters feel exhausted? 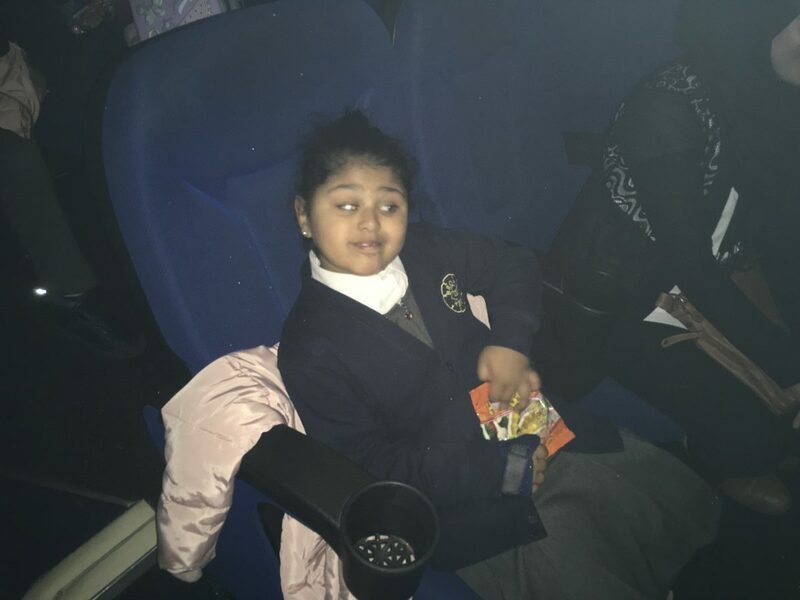 Thank you for taking us to the cinema. My favourite character was the big bad fox. The big bad fox tryed to eat a chicken. It was set in the country side. Lovely manners Amir! We enjoyed treating you! Why were the baby chicks funny? The main character in the movie were fox’s, chicks, rabbit and duck. My favourite character was the fox because he wants to be bad, but ends up doing silly thing. The story was set in the country side and the farm. The fox wanted to be bad but ends up looking after the chicks sometime you want to be silly but in the end you grow up and start more seriously. The fox wanted the hen to be scared when he tried to scare her but she ended up telling to go bother someone else. It was funny. After taking the egg they hatched and called the fox mummy. 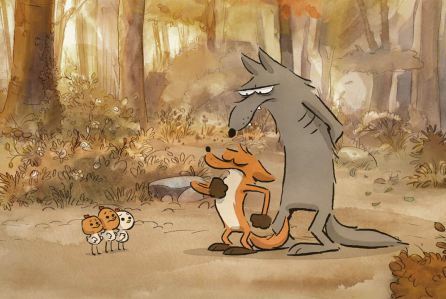 It was really funny but it changed the fox character and started to take care of them. 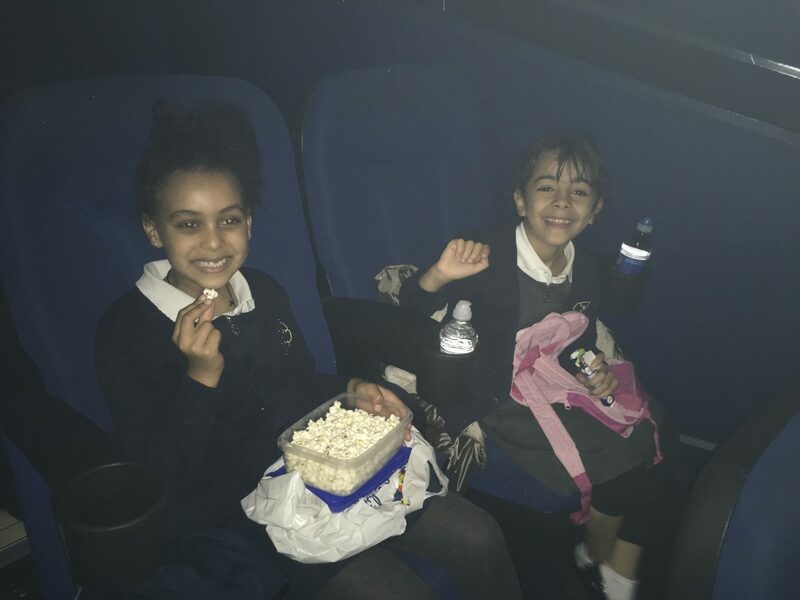 Thank you all the teachers especially Mrs Frankish, miss Smith and miss walker…. I am SO impressed Faizan! Super answers and lovely manners! It was a pleasure. Which tale did you like most? The main characters were the pig, the duck, rabbit and the baby. My favourite character was the fox because he was funny. The problem was they couldnt get the baby home and they sovled by jumping out of an aeroplane. The next tale was funny because the chicks were trying to be like the fox becuase they thought he was their mum. First the fox was angry because he had to look after them and then he was sad because they left. Then at the end he was happy again bacause they came back. I think it was a traditional tale because it had talking animals. Great Zak! You were certainly listening carefully! If you were one of the animals, what plan would you come up with to return the baby? What great fun. Love the learning Miss Smith! The main characters was the big bad fox. My favourite character was the chicks because they thought that the big bad fox was there mummy! The story was set in a show. The problem was when the the big bad fox wanted to eat the chicks. They solved it by the little fox. It was really funny when the chicks thought the little fox was there mummy ! The fox changed his mind because he liked the little chicks after all. I think it is not a traditional tale because it hasn’t been long and long ago and I think it just came out. Great Maryam! I agree! Did you spot anything that was similar to a traditional tale? All the characters were … the wolf,the pig,the the chicks mum,the fox, the chicks and the chickens,the nasty duck and the rabbit guys.My favroute character was the little pig because the pig was being nice to the baby.The setting was at a small farm.The problem was that the rabbit guy had sent the boxes to the wrong places and they solved it by so basicly the rabbit guy pushed a button and flew to land and at land was the babys parents.I think it was a traditional tale becase i looks like it. Wow Elen! I am so proud of how well you understood the film. This is a great comment! Did you notice any features of a traditional tale?